Convenient parking near Cockadoos is available at the Parking.com locations listed. Click on the location address for location hours, rates, detailed location information, and a map. 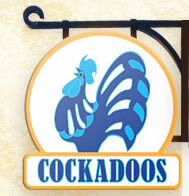 Cockadoos is located in the heart of downtown, opposite the Peabody Hotel and near Autozone Park.